I have a thing for Scottish accents. Especially Scottish accented women. Like, if you're a lady and your Scottish accent is so strong I can hardly understand you, I'm done for. 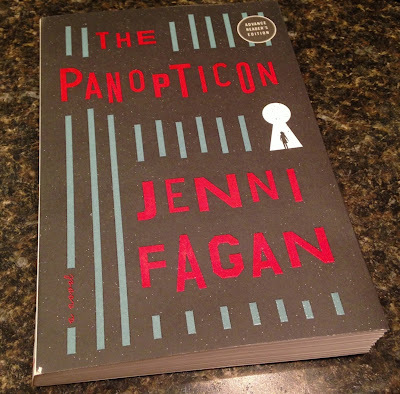 This has nothing to do with Scottish accents, but Jenni Fagan is a Scottish writer whose debut novel will be published tomorrow here in the US. Her accent is rather light, but she seems to be a lovely woman. Honestly, I haven't read a word of The Panopticon yet, but it arrived on Saturday and I haven't had a chance to crack it yet. I'm headed to Florida next week and I'll take it with me. If I finish, I'll write something up when I return. Sounds cool, right? The New York Times seemed to like it.